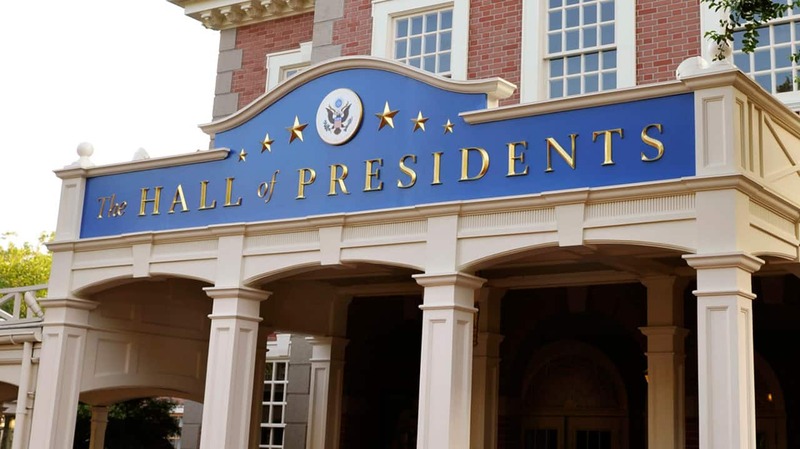 Since the Magic Kingdom Park opened in 1971, The Hall of Presidents has brought together a one-of-a-kind look at the office of the President of the United States through film and the magic of Disney’s Audio-Animatronics technology. Despite some media reports to the contrary, President Trump will have a speaking role in The Hall of Presidents, like every president since 1993. We have been working closely with the current White House — just as we have with previous administrations — and the president’s recording session has been scheduled. The attraction will re-open in late 2017. It better be worth the wait for these enhancements! 11/18/17 shouldn’t there be updates or opening date by now posted? Our family has been looking forward to seeing this attraction for quite some now. I hope the refurbishments will be completed soon. We would really enjoy seeing one of Walt’s attractions! Please tell me this will be open by 12/27 we are bringing my mom she is pushing 80 years old. It will be her first time in disney!!!!!! She would love this!!! This has been closed for a while. Let’s get going!! If you read the article it states the whole attraction including the theater, sound system, seating etc… is being renovated. Not just the President. For those of you that are complaining that’s it’s never taken this long to add a president, read further. Make The Hall of Presidents Great Again! Our family will be visiting the first week in December, do you think that The Hall of Presidents will be re-opened by then? I am anxious for the new Hall of Presidents to open! And for those who chose to stay away, GREAT!!! Less of a crowd to deal with. I’m glad Disney is sticking with tradition and as in the past, the new president will have a speaking role. My family will be skipping this attraction for the next few years. We will miss it. Well it is November 1st. Not much time till the end of 2017…..
Looks like the only safe bet is to not book a Disney World vacation until after The Hall of Presidents is officially open. I can only hope the current president has a positive message for all Americans. Sadly, if the message is not positive and all inclusive, I will have to skip this popular attraction. my family and I will be there in December and hope to see our great new President! Please set a date! We were disappointed that we didn’t get to see our president during our last trip. I don’t recall waiting this long when other presidents were elected. I am SO excited to see our new President, Donald Trump, there!!! Thank you, Disney, for doing the right thing and not getting the park involved in politics. Please Please Be open in December. I can’t wait to see President Trump in there. Do they have a date yet? Yes, we were there in May and very disappointed the HoP was not yet available. Have to wait until next year. Please Disney, I am not getting any younger and would love to see our 45th President. Actually, I wish they would go back to having President Lincoln speak… I was never a fan of having a sitting president talk in this attraction. We are annual pass holders and have been for several years. Our children and now our Grand Children enjoy the Disney Experience always. I am looking forward to, once again, seeing the Hall of Presidents with the addition of our newest President. Can’t wait to see our new President Trump. Hope it’s reopened in December. I am traveling to WDW in early October and would love for this attraction to be open. My family and I have been visiting since November 1971 and feel that this classic attraction is a must do. I just returned from Disney World. Irma ran me off but I got to visit the Magic Kingdom before I left. I am very upset that The Hall of Presidents wasn’t open. I don’t understand why it’s taking so long to re-open. The majority of the people here on this blog want to see it re-open with Trump in it. Now I will have to wait till next year to see it. I am very frustrated. We have been coming to DisneyWorld since 1985 and DVC members since 1994 and consider DisneyWorld our second home. We can’t wait to see the new and updated version of the Hall of Presidents. We still get chills and fill with pride every time we visit. We appreciate Disney taking a stand and continue the tradition of showcasing the history of our country and for treating President Trump with the same respect that has been shown to president for so many years. I’m with you, Eric. 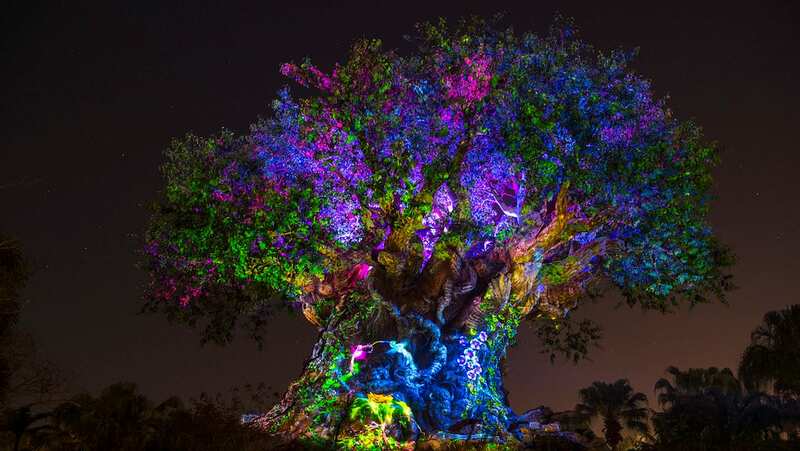 Planning to come by year’s end and do not want to miss one of my favorite all time attractions. Even though my politics are right of center I was happy to see every new President there for the last thirty five years. This attraction is for all Americans and always speaks to American greatness and opportunity as well as her history. Can’t wait.